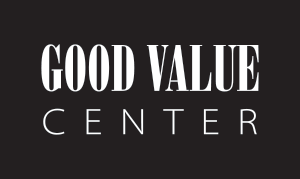 Good Value Home Improvement Center operates www.goodvaluecenter.com (the “Site”) to provide online access to information about Good Value Home Improvement Center and the products, services, and opportunities we provide (the “Service”). The Site and the Content are protected by U.S. copyright laws, and belong to Good Value Home Improvement Center and/or its partners, affiliates, contributors and other third parties. The copyrights in the Content are owned by Good Value Home Improvement Center or other copyright owners who have authorized their use on the Site. You may download and reprint Content for non-commercial, non-public, personal use only. You may not manipulate or alter in any way the Content on the Site without specific permission from Good Value Home Improvement Center. Good Value Home Improvement Center cannot and does not guarantee or warrant that files available for downloading through the Site will be free of infection by software viruses or other harmful computer code, files or programs. Good Value Home Improvement Center makes no express or implied warranties, representations or endorsements whatsoever with respect to the Site, the Service or the Content. Good Value Home Improvement Center expressly disclaims all warranties of any kind, express, implied, statutory or otherwise, including, but not limited to, implied warranties of merchantability, fitness for a particular purpose, title and non-infringement, with regard to the Site, the Service, the Content, and any product or service furnished or to be furnished via the Site. Good Value Home Improvement Center does not warrant that the functions performed by the Site or the service will be uninterrupted, timely, secure or error-free, or that defects in the Site or the service will be corrected. Good Value Home Improvement Center does not warrant the accuracy or completeness of the Content, or that any errors in the Content will be corrected. the Site, the Service and the Content are provided on an “as is” and “as available” basis. Because some states do not allow the exclusion or limitation of liability for consequential or incidental damages, some of the above limitations may not apply to you. In such states, Good Value Home Improvement Center’s liability is limited and warranties are excluded to the greatest extent permitted by law, but shall, in no event, exceed $100.00. You understand and agree that you are personally responsible for your behavior on the Site. You agree to indemnify, defend and hold harmless Good Value Home Improvement Center, its parent companies, subsidiaries, affiliated companies, joint venturers, business partners, licensors, employees, agents, and any third-party information providers to the Service from and against all claims, losses, expenses, damages and costs (including, but not limited to, direct, incidental, consequential, exemplary and indirect damages), and reasonable attorneys’ fees, resulting from or arising out of your use, misuse, or inability to use the Site, the Service, or the Content, or any violation by you of this Agreement. If you register to become a Good Value Home Improvement Center.com member, you are responsible for maintaining the confidentiality of your member identification and password information, and for restricting access to your computer. You agree to accept responsibility for all activities that occur under your member identification and password. Correction of Errors and Inaccuracies. The Content may contain typographical errors or other errors or inaccuracies and may not be complete or current. Good Value Home Improvement Center therefore reserves the right to correct any errors, inaccuracies or omissions and to change or update the Content at any time without prior notice. Good Value Home Improvement Center does not however, guarantee that any errors, inaccuracies or omissions will be corrected.